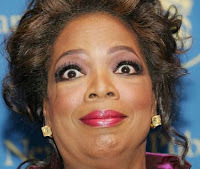 What Oprah joining Twitter has done OR Weighing in on Twoprah, Oh Pope-rah! 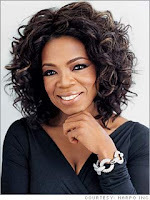 a newbie (@oprah) can crown a popular TV star, Ashton Kutcher, (@aplusk) the 'Twitter King"
if Oprah joins something as cool as Twitter is it still cool? 'Cool' is still around? the Oprah effect is real, check out the statistics, it isn't a book endorsement but it's good. The point about our government printing up more money was that it can't be done "on a whim" and that there are serious concequences for doing so (weak dollar, higher gas prices, inflation). I never said that it can't be or hasn't been done at all. Afterall, those loans from China weren't infused in the form of Chinese currency. They were infused in the form of our own. Some spent on legitimate government programs (This has been necessary as existing US currency tends to be hoarded by the rich.). Some diverted behind the scenes (Stolen by the rich.). The rest given to the banks in the form of credit (Run by the rich. Dividends paid to the rich.). Who in Reaganite theory, are expected to make loans and 'grow' the economy. Unfortunately, the 'economic growth' so far, has taken place almost entirely at the high end. Resulting in a net gain for the rich, a net loss for the vast majority, a much greater need for financial aid, and red ink nationwide. The later three of which have been further aggrivated by that weak dollar. So the printing of money can't be done "on a whim" without regard for serious concequences. So far, its done nothing but perpetuate the problem. It never has been and never will be the answer. Not without some policy in place to prevent that newly printed currency from being hoarded by the rich as well (Like higher taxes on the rich and caps on their personal wealth.). Sorry if I wasn't explicit enough the first time. The original draft of this particular rant was written in '06' and intended to fit within 300 characters. I've been updating it weekly for the last year or so. Responding to my celebrity junkie/Reaganite critics and a constant line of BS from the media. Inserting those updates where they seem most appropriate. I also realize how incredibly difficult it is to get through to a society which has been lied to for so many years. This is why I jump so often from one issue to another and back again. Anyway, I'm no English major. I have odd writing habits, I don't think in paragraphs and I find it difficult to write in paragraphs. So if any of you want to re-organize, re-word, or summarize this post feel free to do so. Whatever it takes to make people understand. The organized campaign to suppress the truth and divert our attention continues. Forbes has reported that many of the world's billionaires have lost bottom line wealth. They wen't out of their way to crunch all those numbers, draw their conclusions, and plaster them all over the media. Still no data for 2008 on the wealthiest one percent or the distribution of bottom line wealth worldwide. Why not? I'll tell you why not. Because they don't want us to make the connection. The current economic crisis was not caused by subprime, China, Japan, Mexico, the CRA, one bad policy, one administration, one major political party, or the other. These factors are only proximate at best. Not underlying. The current economic crisis was caused primarily by a massive transfer of wealth from poor to rich. In particular, the richest 1%. I realize there is some debate in the US over their share of her bottom line wealth. Some recent studies have shown it to be as little as 40%. Others near 50%. Nearly all recent studies have shown about 40% of the world's bottom line wealth to be held by the richest one percent. However, most studies to date have not included 'everything'. They refer only to one reported set of financial assets or another. They often take no stab at material assets or hidden assets. It is well known that various currencies, gold, silver, platinum, jewels, and other holdings are being hidden in secret accounts and vaults around the world. Well known but impossible to calculate. Also, when it comes to greed, fraud, oppression, corruption, or any other form of evil, history has shown time and time again that its almost always worse than first reported. The watered down results by then, are usually a year or two old. However, there is very little debate that wealth is being concentrated worldwide. Virtually every study shows it. The rate at which that wealth is concentrated has increased over the last decade or so along with record setting profits. It is incredibly obvious when you look around. For these reasons, I tend to believe the higher estimates. Regardless, it has become an epidemic worldwide. IT IS THE PROBLEM. Mark my words: Bottom line wealth may be fluctuating at the very top but its not comming back down to the majority where it belongs. When a billionaire looses a chunk of his or her obscene fortune, it is almost always to other high ranking members of the 1% club. Not the majority. I would believe otherwise only with bankruptcy down, forclosure down, consumer debt down, unemployment down, home sales up, car sales up, middle class savings up, and a shrinking lower class. That would indicate a transfer of wealth from rich back to poor. Again, it can't be 'created'. It can't be 'stimulated'. It must be transfered from the rich and back to the majority. Otherwise, it won't work. That, unlike GDP growth, would indicate a healthy, stable, and sustainable US economy. On a global scale, it would be the single greatest step we could possibly take torwards world peace and prosperity. In which case, I would be thrilled to see my predictions proven wrong. I would gladly apologise for my rotten attitude. I would do so 'on-air' and 'online'. I would do my very best to apologise to every single critic. Including the filthy rich public figures I rip on. Its not going to happen. Wealth is still being transfered from poor to rich. Here in the US and also worldwide. Their stock values are down on average but their share of the world's bottom line wealth up on average. There is no doubt in my mind. There is also no doubt in my mind that the rich are converting and hiding assets around the world like never before. I don't claim to know half their tricks. But I do know they have many. They also have most of the world's leaders in their pocket. Almost all of whom will betray their own people on a whim and stop at nothing to get or remain as rich as possible. They absolutely will not let go of their incredible greed. IT WILL BE OUR DOWNFALL. A few more points about the 'loss' of bottom line wealth. The monetary values for material assets are defined by the market for those assets. When you concentrate the world's wealth and capital to such an extreme, you also shrink the market for those assets and ultimately their market value. A similar rule applies to stock and bond values. We are in a severe global recession caused primarily by an obscene concentration of wealth and capital worldwide. Nearly all material assets across the board have finally been reduced in market value. Even yachts, personal jets, exotic cars, limos, castles, and mansions to some degree. Those assets are now effected simply because the majority worldwide are finally running low on money to hand over to the rich. That transfer of wealth can no longer be sustained at the same rate. Its not mathematically possible. Too many middle, working, and lower class households have finally gone bankrupt. Profits for the rich are finally down on average. Their stock and property values are finally down on average. However, the rich continue to rule the world with the same government influense, obscene buying power, extravogant living, and consumption of resources. Wall Street, Hollywood, and Pro-Sports compensation packages are still obscene. Health care, energy, and finance charges are still obscene. Bailouts are being made. Favors done. Funds diverted. Assets hidden. So any 'loss' taken on paper by the richest one percent is part illusion and part fraud. An accounting biproduct of their own incredible greed. Another reflection of an ACTUAL loss already taken in the real world by the vast majority. A loss taken year after year after year as the world's wealth and capital was concentrated. Remember: The strength, net worth, and buying power of the majority didn't just float away. It was gradually transfered to the rich. Now because of it, stock and property values are down worldwide. Its not an actual 'loss' taken by the rich. Its an illusion. The division of buying power remains obscene. Bottom lines fluctuate but the pie doesn't lie. The richest one percent are still to blame. They still concentrate obscene levels of wealth in every nation. The world's richest one percent still own over 40% of all world wealth. That equation is obscene and vital to understanding. If and when their obscene share of wealth and resource is reduced signifigantly, the rich will FINALLY take a loss in the real world. Otherwise, its on paper only. Part illusion and part fraud. I'm sorry I didn't make this point earlier. Its a big one. The American middle class are not amoung the 'world's richest one percent". Not even close. Only multi-millionaires fall into that category. Fellow citizens: I've noticed many more of you speaking out against the obscene concentration of wealth/capital worldwide and the flaws of unbridled capitalism. I've been reading your blogs. Excellent work. Unfortunately, the massive campaign to divert our attention and suppress the truth has also been kicked up a notch. On 4.09.09, a current student of economics called the 'Rush Limbaugh' show with valid criticism of 'Supply side economics'. A view shared by his professor. Rush followed with an outright lie (cleverly disguised as a guess) about the highest marginal income tax rate of 79/80 and the same old BS about 'trickle down'. Theories which have been thoroughly tested in the real world for almost 30 years and proven DEAD WRONG. The ugly truth is being suppressed. For example: Between 1983 and 2004, the richest 1% of American households increased their net worth by 78%. That is a fact. Between 1983 and 2004, the bottom 40% of American households lost 59% of their net worth. That is a fact. More than 1 in 6 American households now have a zero or negative net worth. That is a fact. More than 1 in 3, now have less than $10,000 in net worth including home equity. That is a fact. More than 5,000,000 Americans have fallen below the poverty line since the year 2000. That is a fact. The middle and lower classes are further in debt than ever before. That is a fact. Trillions in bottom line US wealth have already been transfered from poor to rich. THAT IS A FACT. Wealth has been concentrated worldwide for over 30 years. THAT IS A FACT. Its true even after you account for 'economic growth' and all of this bogus 'good will' 'humanitarian' CRAP from the rich. So don't fall for the same old optimistic BS about 'supply side economics' or 'Reganomics' because IT IS A LIE. We don't need a bigger economy. At least not in the US or any other developed country. We need a more fair, ethical, moral, and just economy. We need a more reasonable distribution of income, bottom line wealth, and resources. Here in the US and also worldwide. If you agree, then spread the word. Call in, write, or protest in groups. You are welcome to re-post this document anywhere you see fit. For your own good, please do so anonymously. Your right to remain anonymous is protected by a federal law. If it is violated, you can sue the pigs. I've been listening to talk radio for over 6 years. That call taken on 4.09.09 along with one of mine made in '08' are the only two I know of even remotely critical of Reaganomics or the concentration of United States/world wealth ever accepted on syndicated talk radio. Thats two calls accepted out of thousands that I have heard related to the economy. This topic is not allowed on syndicated talk radio. Now, the syndicated talk radio pigs are bashing college professors like never before. Of course, that bashing is directed primarily at those who teach 'economics' or 'socio-economics'. Their attacks are downright robotic, shallow, partisan, and short sighted as usual. "Those who can, do. Those who can't, teach." -Mike Savage. If this is true, then how should we judge those who do nothing but write books, rip on the opposing political party, and run their partisan mouths on talk radio? Those who can't think outside of any political box? Those who won't acknowledge the real world stats in that previous paragraph? Those who can't even see the profound fundamantal differences between simple regulation, higher taxes, and full blown socialism or communism? Those who failed to predict the current economic crisis, failed to understand even as it was unfolding, still don't, and bash those who did and do? How should we refer to them? HALF-WIT HYPOCRITES. ROBOTIC IDIOTS. PREDICTIBABLE MORONS. PATHETIC FOLLOWERS. SOLD OUT LITTLE PARTISAN PUPPIES. PART OF THE PROBLEM. Now, the syndicated talk radio pigs are defending the credit card companies and all of their rotten tactics. Once again, using "free market" ideals to justify greed, fraud, and corruption on a level never seen before. Big surprise. IT MAKES THEM RICHER. Remember that line near the beginning about 'humanitarian' progress "made in one area" and "lost in another"? That line was written in '06'. The following is a quote from an article published this morning from the World Bank: "Developing countries, its main constituency, face "especially serious consequences with the crisis driving more than 50 million people into extreme poverty, particularly women and children," the bank said Sunday." Well isn't that great? What do you have to say about that Oprah? Are you still happy that you endorsed subprime? Did it make you rich enough? What about you Ellen and Phil? You hypocrite pigs. Not that subprime itself caused this global economic crisis. It didn't. You know it and I know it. But it certainly did accelerate this downturn. So what do the three of you have to say about it? Are you still happy that you endorsed subprime? What about the credit industry in general? What about their rotten oppressive tactics? YOU WERE PAID TO ENDORSE THEM. Did it make you rich enough? Have you done enough 'good' to compensate for this? What about you Brad, Angelina, Bono, Richard, Warren, and Michael? Do you still believe in concentrating the world's wealth? Is that what a 'humanitarian' should do? Have you done enough 'good' to compensate for this? What about you Bill? Are you rich enough yet? You alone literally have enough net worth to make a signifigant difference in the lives of those 50 million people. THATS FIFTY MILLION MORE INNOCENT DESPERATE PEOPLE YOU DISGUSTING HYPOCRITE PIG. If it weren't for that obscene concentration of wealth and capital that all of you stand for, there never would have been such a market for subprime, there never would have been a collapse in the US housing market, there never would have been a global credit crunch, and this economic crisis never would have happened. Thats 50 million more innocent desperate lives f$#@#$ in the course of two years. Not to mention all the others and the havok wreaked in every developed country worldwide. Yeah. I think its safe to say that all of that 'humanitarian' progress "made in one area" has been "lost in another". Thats 50 million more innocent desperate lives f$%$#@ in the course of two years. All because of greed. IT WILL BE OUR DOWNFALL. 1% CLUB PIGS: You have been begging for it in so many ways. Now, you are in for the debate of your lives. This issue is not going away. Neither am I. I intend to post, call in, and protest on a regular basis until the day I die. I know how badly you want my fingers broken and my big mouth shut. I have already planned ahead for any possible retaliation on your part. If anything happens to me, then a close friend will contact the authorities. A note written for them will be found in a fire-proof safe along with a copy of this document. A second set will be found with X XXXXXX XXXXXXXX. All of my research and belongings will be left to X XXXX XXXXX XXXXXXXX. In the meantime, my right to remain anonymous is protected by a federal law. If this right is violated, I will sue everyone involved and give 99% of the reward directly to my less fortunate fellow citizens. The rest, I will use to print and distribute more copies of this document. DEAL WITH IT.